Lock in a great price for Hotel Korsal – rated 9.2 by recent guests! The room was great, and the staff was very friendly. I would stay here again without question! The service at this hotel could not have been better. They went out of our way to meet our every need and constantly exceeded expectations. 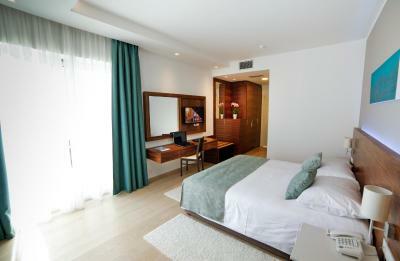 We also received a recently renovated room which was much larger than we expected. Everything was state of the art, which really added to our honeymoon. I also highly recommend the wine tastings that occur daily. Add in that it's a short 5-minute walk to the old city and you really can't beat this place. The staff went out of their way to help us. Even giving us beach towels when they saw us on the way to swim. Great location and breakfast. My only regret is not having more time there. The room was brand new and spacious. The staff was super helpful and kind, even before we got to the hotel. 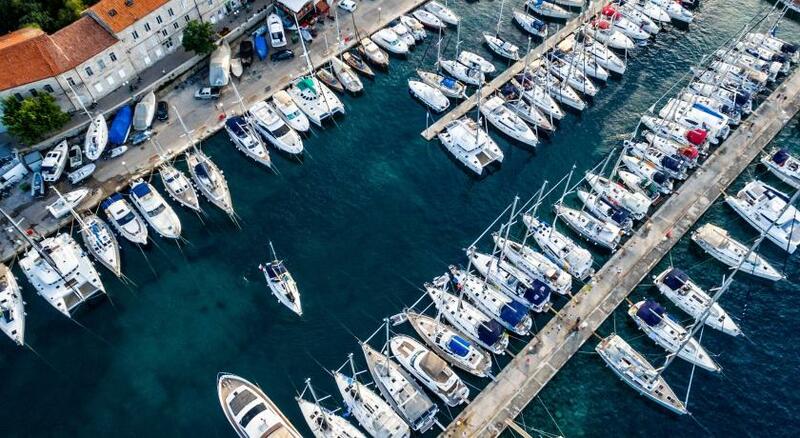 The location was great, easy walk to the ports and old town. We booked a sea room, which was lovely. Beautifully decorated with nice touches but the room was small for the price and no balcony. Lovely warm welcome from staff. Shower was great. Bed comfortable with amazing views. 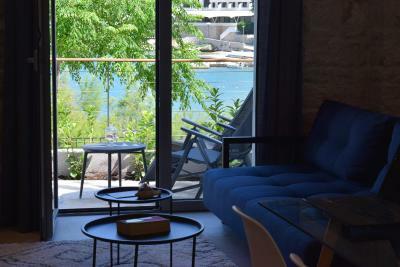 A good location, easily walkable from the ferry and close to bars and restaurants. Next to a little beach so perfect for an early morning swim. Breakfast was very good with lovely pancakes or omlettes. The staff were amazing! The views from the hotel are beautiful and the location in town was great. Town with a great sea view, good open air lounging spaces, a restaurant and an excellent breakfast, with ample selections as well as the availability of eggs any style you’ll like. The staff is very friendly and thorough. The rooms are a bit smaller than expected, no couch or desk, but adequate. The bath was average. Hotel Korsal This rating is a reflection of how the property compares to the industry standard when it comes to price, facilities and services available. It's based on a self-evaluation by the property. Use this rating to help choose your stay! 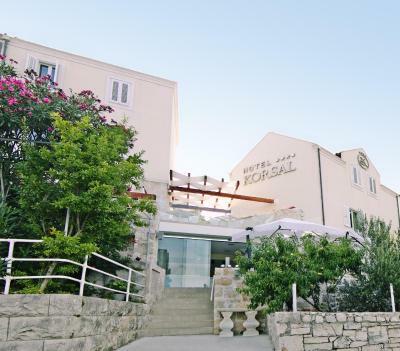 One of our top picks in Korčula.Located directly on the beach and just a 5-minute walk from Korcula’s Old Town, Hotel Korsal is set in the pedestrian zone and offers air-conditioned rooms with sea views, free Wi-Fi and a restaurant with terrace. 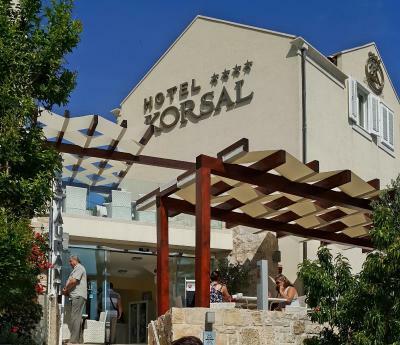 Korsal Hotel is located in a car-free zone, 800 feet from Korcula’s marina, the bus station and the ferry service to Split and Dubrovnik. 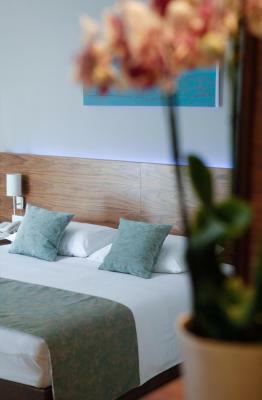 The comfortable rooms have flat-screen satellite TV and anatomic mattresses and pillows, while the spacious bathrooms feature underfloor heating. 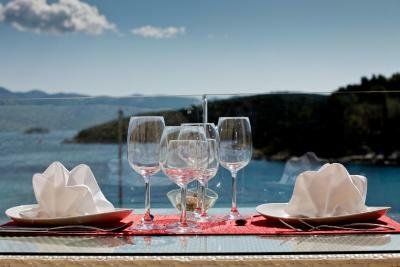 The hotel’s restaurant serves a buffet breakfast, Dalmatian specialties and fine wines, and it includes a large terrace that overlooks the beach promenade. 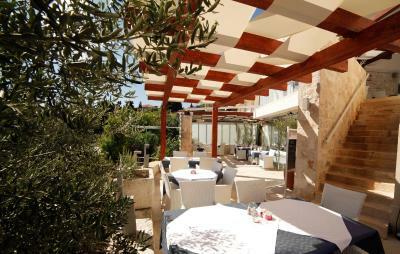 A la carte lunch and dinner with various local and international specialties are offered as well. 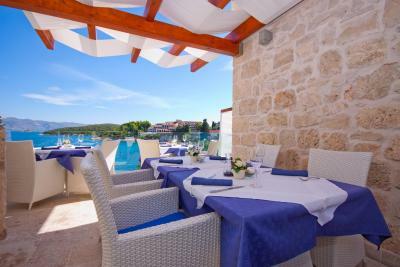 This is our guests' favorite part of Korčula, according to independent reviews. When would you like to stay at Hotel Korsal? 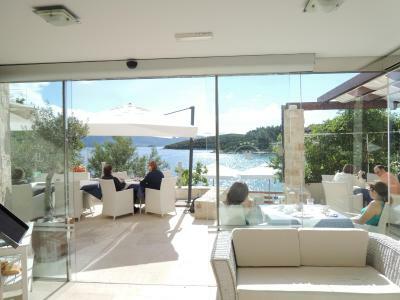 Overlooking the Adriatic Sea, this air-conditioned room features hardwood floors and an LCD satellite TV. It offers a laptop safe box and a mini-bar. 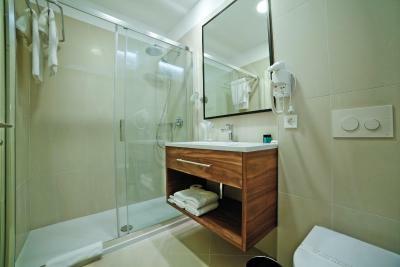 A private bathroom with shower is also available. Public parking is available at a location nearby (reservation is needed) and costs EUR 7 per day. 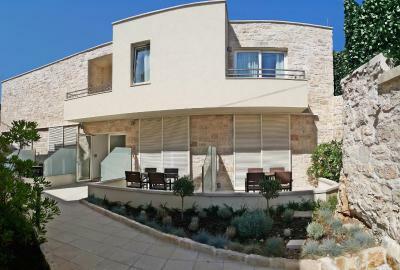 Overlooking the Adriatic Sea, this air-conditioned room features hardwood floors, bright colors and an LCD satellite TV. 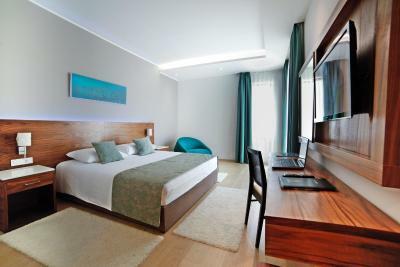 Consisting of 2 interconnected double rooms, the Family Room offers a laptop safe box, mini-bar and a private bathroom with shower. 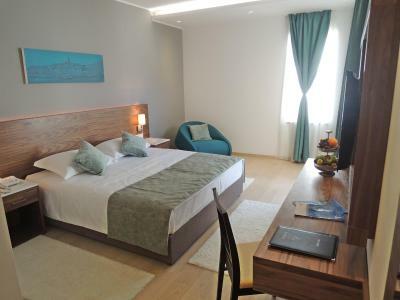 Overlooking the Adriatic Sea, this spacious and air-conditioned room features hardwood floors, bright colors and an LCD satellite TV. It offers a seating area, laptop safe box and a mini-bar. A private bathroom with shower is also available. 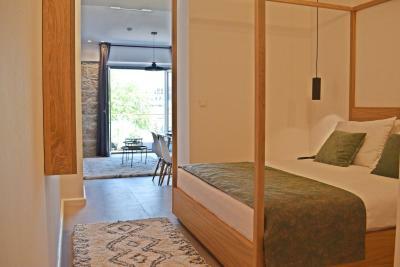 This double room features a balcony, seating area and mini-bar. 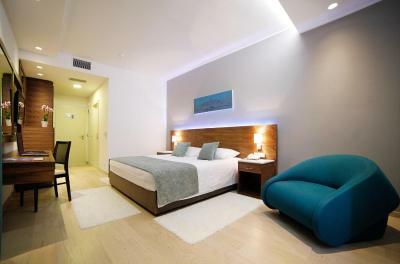 This single room features air conditioning and mini-bar. Please note there is no possibility of extra bed in this room type. This double room has a balcony, mini-bar and electric kettle. This single room has air conditioning, sea view and mini-bar. This suite features a balcony, tile/marble floor and sofa. 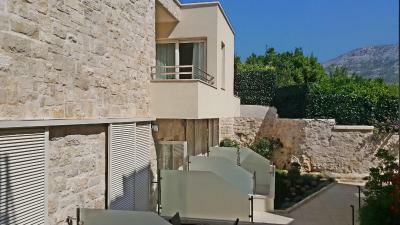 This double room has a balcony, air conditioning and tile/marble floor. It is placed in an old town area, 820 feet from the main building. Breakfast is served daily in Annex building. House Rules Hotel Korsal takes special requests – add in the next step! One child from 2 to 12 years is charged 50 % of the room stay per night in an extra bed. One older child or adult is charged 70 % of the room stay per night in an extra bed. One child under 2 years is charged EUR 6 per person per night in a crib. Hotel Korsal accepts these cards and reserves the right to temporarily hold an amount prior to arrival. 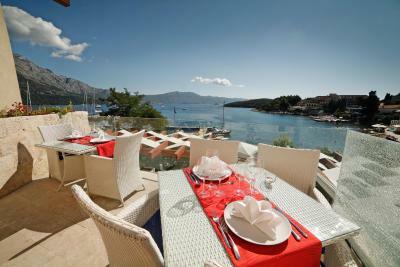 One of the most picturesque neighborhoods in Korčula! issues with our reservation. Indicated they didn't have a reservation for us when we did. Gave us a very small room, I assume because they didn't think we had a reservation. An hour later asked if we would like to move to another room, which we did. It was great. Really think it was the room we reserved in the first place. They were very nice about moving us. It's hard to find fault but if forced to look for it my only real complaint was that the cleaning lady''s service room was under mine and she arrived early in the morning and opened the window and spoke really loudly and I found it disturbing. I adored the staff. They were warm, approachable & made everything easy. Every time you came back to the hotel you received a sincere greeting. Having breakfast on the veranda every morning with such gorgeous sea views was such a treat. I loved where the hotel was situated. While the beach might not have been the most beautiful beach it was directly across the way and wonderful to be able to swim at any time - day or night. My morning omelettes were delicious & I also enjoyed a scrumptious dinner at the hotel. All in all I had a wonderful stay here. I would have liked free shuttle service from the Ferry to the Hotel. Nice new, room with a bedroom and a living room. The dining area, inside and outside was nice and the breakfast was quite good. The staff at the Hotel was very friendly an went out of their way to help us and give us advice and where to go and where to eat. The Hotel is walking distance to the Old City. The beach out front of the hotel is pretty nice, but not as nice as some that we found throughout Croatia (that is a pretty picky comment). There really isn't anything not to like about this hotel. The rooms with sea views don't have balcony' s. Just a small draw back which ultimately didn't negatively affect our stay as there is a communal balcony on the 1st floor. 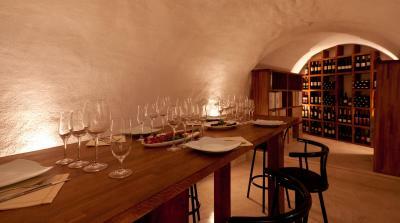 Convenience of the location, staff have the answers, wine tasting facility on site, wine list. Everything was great, staff friendly and accommodating. All our needs were met efficiently and with a smile. 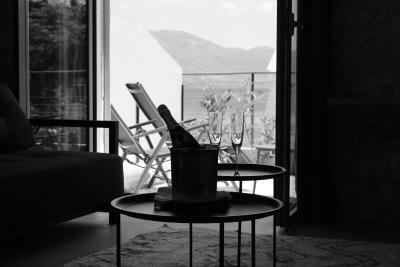 Nice suite with sea view and balcony, great staff and breakfasts excellent. 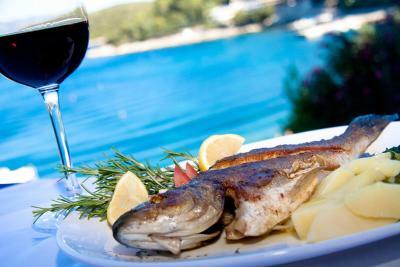 Just across from the beach and close to old town with great choice of restaurants. 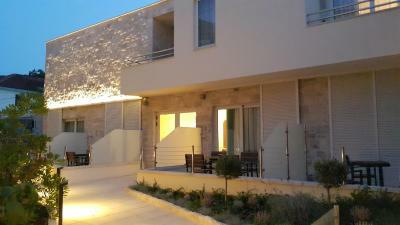 A new family run hotel in a great location with very helpful staff. I would definitely chose to stay here again. Hotel has been nicely furnished and built in a traditional style with lots of character. Honestly, there is not much to complain about here. They did a great job! I guess towels for the beach would have been a nice touch, but I didn't see any. This was not a big deal. This is a fantastic hotel where the staff seem to ALL genuinely care about the guests' experience. I was so impressed with the front desk clerk (can't remember his name, but he was working the afternoon of Sept. 5th and the morning of Sept. 6th). He helped us move to a new room because my husband wanted extra air conditioning (beyond what most people need), and he (the front desk clerk) was so nice and polite and resolved the issue without any problem. Also, Thomas (sp?) was AWESOME and a highlight of our stay. But everyone who we encountered at the hotel was fantastic, including housekeeping and the staff at breakfast. Thank you so much, Hotel Korsal! Great welcome when we arrived and the view out of the room spectacular.